This book will be the perfect fix for me when I'm in a cute-love-story-mood. Also the fact that it has gotten amazing reviews and a hot British boy in it helps! This will be my first book I've read taking place in a 24 hour period, it'll be interesting to see how their love develops in only a few hours. French lessons with the studmuffin of the school and an artsy, but tends to be 'invisible' in high school main character, what more could you possible want out of a book?! A girl trying to break free of her good-girl image on a guided tour of Central American with a bunch of middle aged adults and a cute bad boy who just wants to be good. Although that alone sounds fun, both Bria and Rowan discover more about themselves then ever before then learn how to confront the past. Nothing's better than going on a journey of self-growth with amazing characters! I love how the main character is just considered 'one of the guys', I mean we've all probably been in a similar situation at some point in our lives (I know I have!) It'll be fun to watch the changes the group goes through when Char turns into 'a total girl' around this new boy that enters their circle of friends. Two words... Kody. Keplinger. -squeal!- I absolutely loved, loved, loved The DUFF and Shut Out. Kody is a pro at writing in a realistic teen voice and still having a great message in her books while still keeping them extremely fun. I loved Shakespeare's play of A Midsummer Night's Dream so I seriously can't wait to see Kody's updated teen rendition of it! (Cover hasn't been released yet). Four girls off in a foreign country discovering castles, family secrets and extremely hot Italian boys. Now that is my kind of book! Just everything about this book sounds incredible. The fact that this family totally welcomes this girl into their family and how a boy tries to offer a girl everything she's missing by living in a strict household. It sounds like an amazing love story with some focus on family and finding yourself that I seriously can't wait to get my hands on! The main character, Rinn, is bipolar and is recovering from a suicide attempt. She gets help from a boy to figure out what exactly is up with this 'maybe-ghost' Annaliese. I love the end quote on goodreads... "Who should she really be afraid of? Annaliese? Or herself?" Ooo this sounds like an incredible suspenseful, possibly a thriller of a story! A girl beginning her first relationship while also trying to overcome sexual abuse. There's not much of a summary on goodreads, no release date and there's not a cover but I know I'm going to love this book. Freefall was just perfection! Mindi is such a talented writer who makes it so easy to connect with every single character. I cannot wait to read this!! 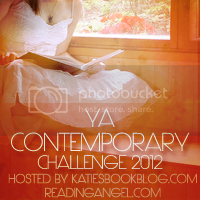 I also decided to participate in the YA Contemporary Challenge hosted by Katie's Book Blog and Reading Angel! My goal is to try and read these 10 books in 2012 for this Challenge so that makes me a Level 2! 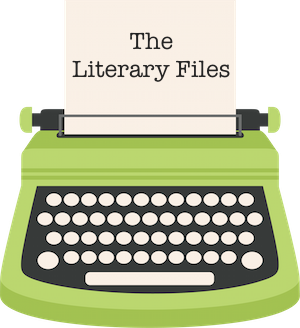 The only rule is that it has to be a Contemporary YA novel that has a publication date between January 1, 2012 through December 30, 2012. 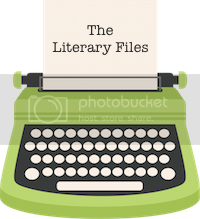 For all of the details about the YA Contemporary Challenge click here! What Contemporary Young Adult books are you looking forward to that are being released in 2012? I read the first chapters of wanderlove and am already in love. Great list. Hey Alice! Aw thank you so much!! :) Yay! I hope you love them! I'm really looking forward to 'The Fine Art...', 'Being Friends With Boys', and 'My Life Next Door'. I've read 'Wanderlove' and it was AMAZING, and while I didn't totally fall in love with 'The Statistical...' I did enjoy it. I read less contemporary YA than I used to but I'll definitely read The Statistical Probability of Love at First Sight because it sounds freaking awesome :) !! Ooooooh, NEW JOHN GREEN!!! YAY! I'm listening to his vlog as I type and will continue listening while I start making dinner... so, so excited :) And you DEFinitely need to read ASHES! It is FANTASTIC!!!!! Wow...gorgeous covers! All of the descriptions sound so good. "The Fine Art of Truth of Dare"--I'm melting over the French tutor already. LOL! Tons of great looking stuff there - was already interested in quite a few of them but have added Being Friends with Boys and Flirting With Italian to my list. Great previews, thanks! Ahh! The Fault In Our Stars! I absolutely cannot wait. I preordered it forever ago. Because, I mean, it's by John Green! How could it not be amazing? Hey Katie! OMG I know, it'll be epic! Vlogbrothers is the best! I totally will, I can't wait, you're review has made the book be on my mind all day! haha! Hey Michelle! I totally agree, the covers are so pretty! *swoon* I know, I wish I had a cute French tutor!